Is Najib Razak using the Sabah standoff for his reelection bid? The standoff in Lahad Datu, Sabah between the followers of Sultan Jumalul Kiram III and his brother Agbimuddin and Malaysian security forces took a turn for the worse last March 1 when the two armed factions engaged in a firefight. The gun battle resulted in the death of twelve Filipinos and two Malaysians. In a statement issued March 2, Malaysian Prime Minister Najib Razak said he phoned Philippine President Benigno Aquino III to say that “the time to consider the group’s demands had lapsed and that they (Kiram’s followers) had the option of surrendering or facing the action of the authorities and security forces.” In reaction to Razak’s hardline tone, Aquino reiterated his appeal to Kiram’s followers for them to surrender without any conditions. 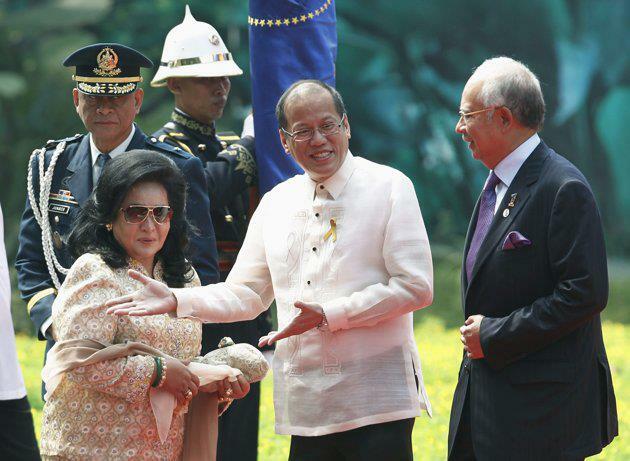 Kiram, for his part, rebuffed both Aquino and Razak. The Sultan’s followers are said to be armed with “M16 and M14 rifles, M16 carbines, M203 grenade launchers and .45 cal. 1911 pistols and knives,” Free Malaysia Today reports. The daily however does not cite its source for this claim. Curiously, Kiram’s army had been described as “intruders” and as a “gang” in foreign news reports. According to news accounts, Malaysian forces were the ones who opened fired first, leaving Filipinos with no choice but to defend themselves. Razak’s rash decision to give the go-signal to attack the Sultan’s followers led to a senseless loss of lives. Kiram’s followers did not engage in any actions that may be construed as threatening to the village where they chose to stay. While Kiram and his followers may be annoying, they are harmless. 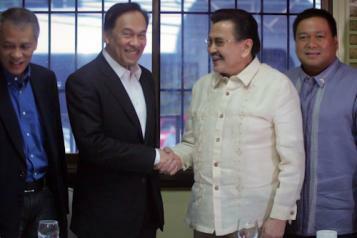 It may not be an exaggeration to say that the man has the blood of the twelve Filipinos killed in his hands. Given that the issue can be solved diplomatically given some more time, why did Razak give the green light to the assault? His action is probably politically motivated. Razak is due to dissolve the parliament by the end of April, and his party Barisan Nasional is facing a tough challenge from the opposition led by Anwar Ibrahim, a world renown Malaysian political figure. And as it turns out, Sabah is a major prize in the coming parliamentary elections. As The Diplomat noted, conflicts in the southern Philippines and Indonesia are “casting doubts over Kuala Lumpur’s ability to protect its far-flung borders.” The current standoff in Sabah is an excellent chance for Razak to show that he is control. Nationalistic sentiments that may be aroused by this skirmish may ultimately help Razak secure the votes from Sabah in his party’s corner. This entry was posted on Sunday, March 3rd, 2013 at 6:14 pm	and tagged with anwar ibrahim vs najib razak, malaysian elections 2013, philippines vs malaysia, philippines vs malaysia sabah, sabah philippines dispute, sabah standoff 2013, Sulu Sultan Jumalul Kiram III and posted in commentary, philippines, politics. You can follow any responses to this entry through the RSS 2.0 feed. Reblogged this on LAV Stories. Di tayo friends ng lahat. | Hector Blogs Politics.